On the start page of this website all kind of actual information is given on a regular base. If you want to read what has happened in the past weeks of this year, you can read it on this page. Yes! 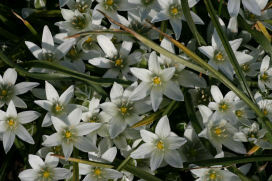 It is getting Spring with the first blooming daffodils and Muscaris in the garden. 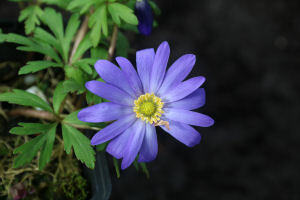 The real early birds are Anemone caucausica, Scilla mischtschenkoana and Ornithogalum sintenisii. These are and remain for me the harbingers of Spring. It's time to go outside, to enjoy all the beauty that grows and flourishes. I wonder what Spring will bring us more. From 10 till 16 April I have visited the Greek island Crete for a week full of nature and culture. 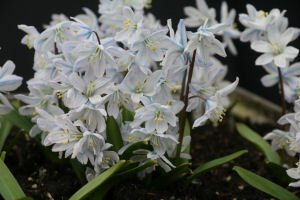 It was a beautiful and special week in which I have seen a wide variety of bulbs and other beautiful plants in their natural surroundings in places spread across the island. Click here for a photo impression of this trip. One of the intriging specialty bulbous plants I grow is Habranthus 'Mary'. It's not a special or intriging plant in the sense of its inflorescence or how difficult to grow, but because the plant does not react on growing conditions I expect it to do. Given the origin, I grow the plants indoor on one of the windowsills of my house. The plants have been outdoors for two weeks in our Dutch summer climate. After a week, the first flowers appeared and new flowers appeared while the weather outside these days is not really tropical weather.